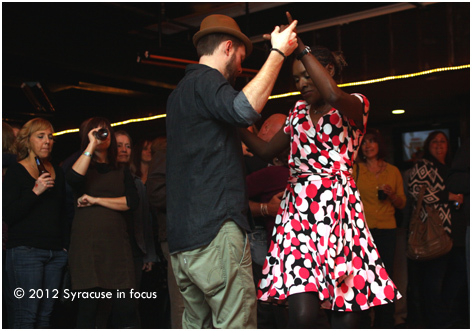 Dancing at Dinosaur BBQ: Sandy Benefit Concert. 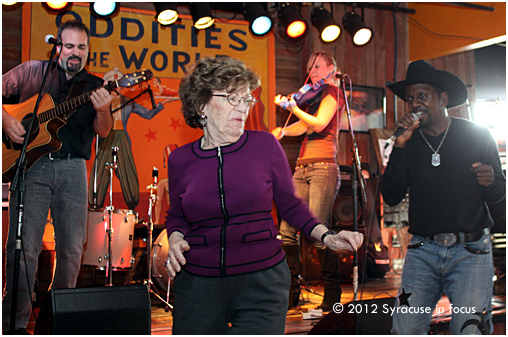 Marge, the ultimate Syracuse music fan, grooves to the sounds of the Custom Taylor Band during Sunday’s early set. Dancing at Dinosaur BBQ: Sandy Benefit Concert. This entry was posted on Monday, November 19th, 2012 at 1:25 am and is filed under Music. You can follow any responses to this entry through the RSS 2.0 feed. You can leave a response, or trackback from your own site.